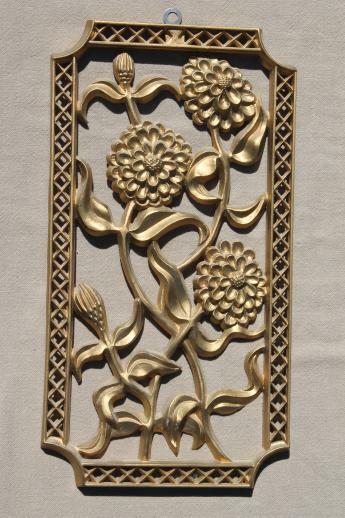 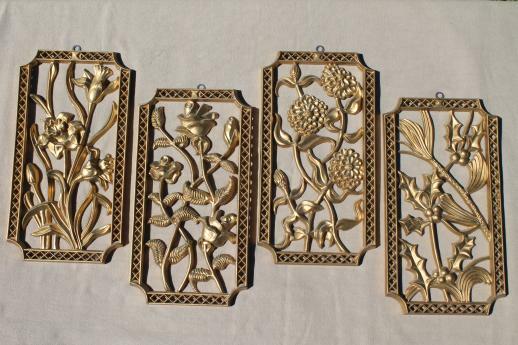 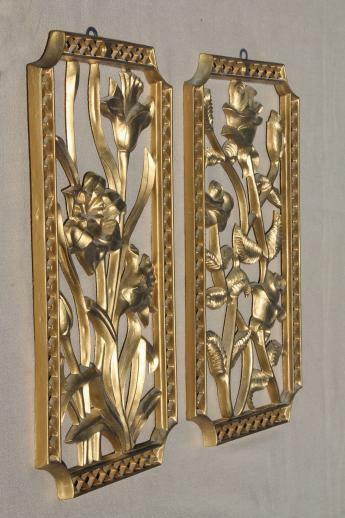 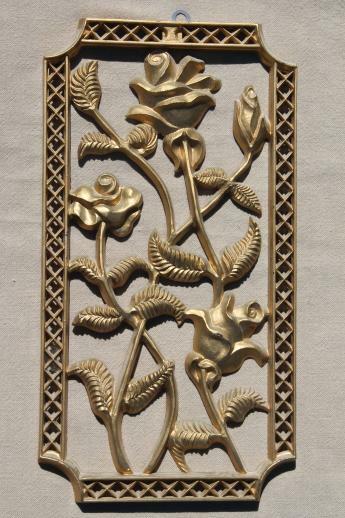 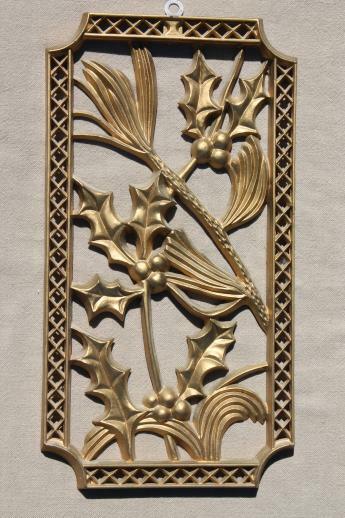 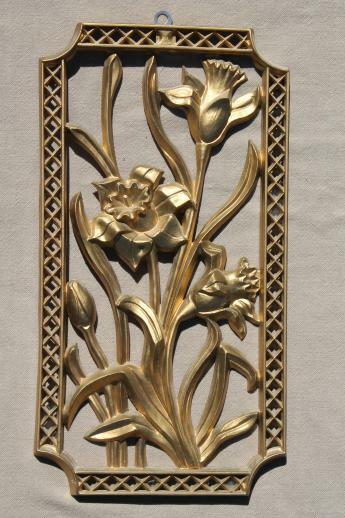 Set of four vintage gold plastic plaques for the four seasons, all 12 3/4" x 6 3/4". 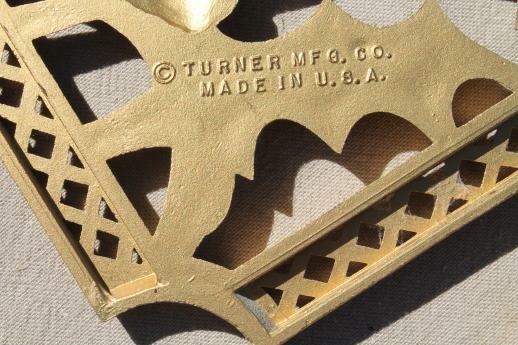 These are Burwood or Syroco type plastic, marked Turner. 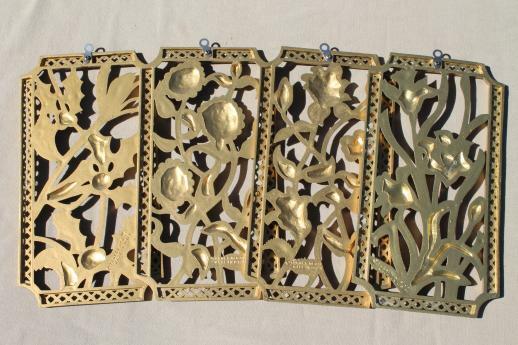 The whole set is in very good clean condition, ready to hang on the wall.